Pamela Stewart has written a beautiful text for love of a weeping willow tree that has experienced the joy of children, human love, the pain of war and death, and the peace of memory. 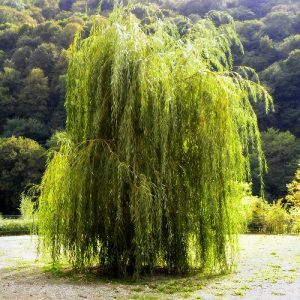 The recurring question throughout is “Why does the willow tree weep?” The tree explains all the reasons why its heart has been touched in the relationship with humans. The voices contain unison lines, countermelodies, and homophonic textures. This piece is written to remember my husband Bill Turner.